One of the easiest ways to cook, roasting draws out the vegetables’ natural sweetness while giving their exterior a slightly crisp bite. 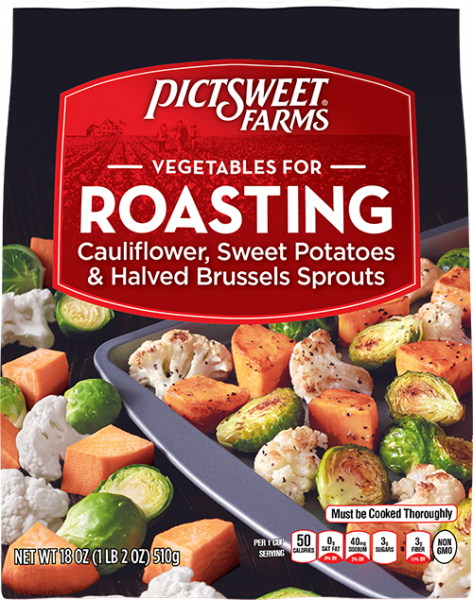 Just sit back and let the oven work its magic while the flavor of Cauliflower, Sweet Potatoes & Halved Brussels Sprouts roasts into a savory masterpiece your taste buds will love. Cauliflower, Sweet Potatoes, Brussels Sprouts.